The fact that we haven’t had much snow yet this year will compound with the timing of the storm — during the evening commute — to needle locals more than the usual winter affair. 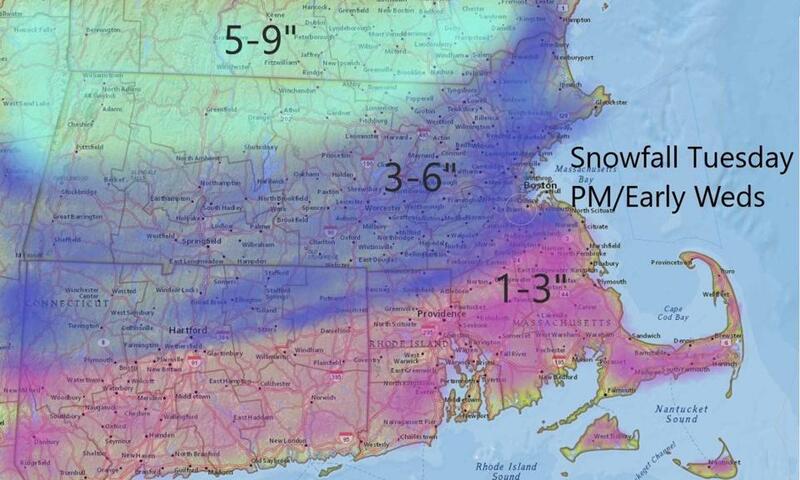 Tuesday’s snowstorm is set to have a disproportionate effect compared with its final accumulation. The fact that we haven’t had much snow yet this year will compound with the timing of the storm — during the evening commute — to needle locals more than the usual winter affair. 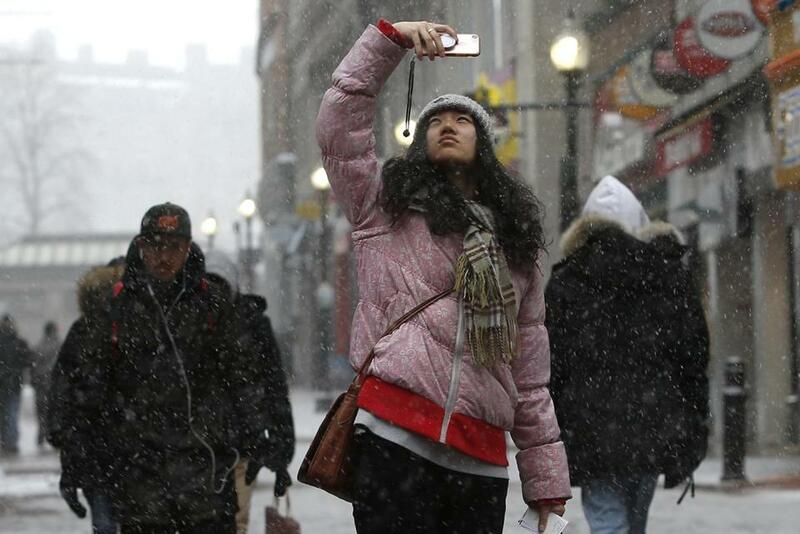 The snow started rolling into Boston around 1 p.m, and later, commuters contended with a steady snowfall. Anytime a storm moves in during the day, the roads become a nightmare. You may have missed your chance to avoid the traffic and leave work early if you haven’t already; staying later until the roads clear might be the way to go. The snow will start mixing with, and changing over to, sleet and freezing rain between 7 p.m. and 10 p.m. this evening. Unlike our messy storm in January, there will not be a flash freeze after this system, so if you don’t have a chance to clean up you’re not going to have to deal with ice chunks tomorrow. 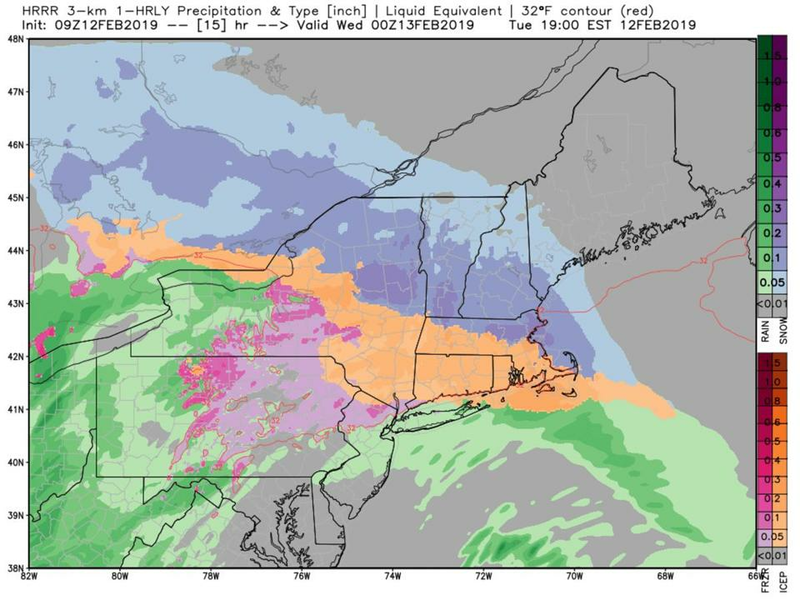 Sleet as noted in orange will be moving into much of southern New England later Tuesday. Temperatures Tuesday night will start going up. By Wednesday morning, the readings will be above freezing, though any showers will end early, leaving us with lots of clouds and plenty of melting and temperatures in the low to mid-forties. I don’t expect much in the way of wind with this particular storm although a westerly wind on Wednesday will be a bit gusty in the afternoon. Thursday is Valentine’s Day and it looks quite nice, with temperatures in the low 40s and plenty of sunshine. It will be a chilly morning to start — a great time to have someone make you breakfast in bed. Temperatures won’t be that cold Thursday evening however, so if you’re headed out to dinner it will be seasonably chilly, but not excessively so. The snow banks will have shrunk a lot by then, and they’ll continue to disappear into the weekend.